Midland's only all suite property. Located only a mile from popular area attractions of Citibank Ballpark and Nueva Vista Golf Course. Awarded for excellent service, we offer well-appointed amenities and a great location. 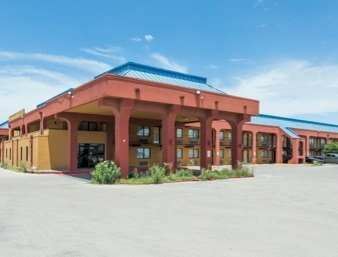 The La Quinta Inn Midland is the place to stay for clean comfortable rooms. This West Texas destination is home to big skies, fresh air, and plenty of Texas hospitality. Enjoy a production at the Globe Theatre, visit the second largest meteor-created crater in the nation, and get an up-close look at WWII artifacts at the American Airpower Heritage Museum. Odessa is also a short drive from Big Bend National Park, Balmorhea State Park, and Monahans Sandhills State Park.